I was waiting until the last presents were opened to post this :D And by the way, if you’re visiting because of the grown‐up cardigan, thanks so much for dropping by! I don’t think I’ve ever had that many views in a day before. 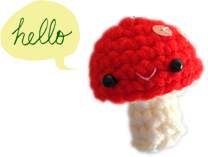 Thanks so much for checking out the pattern! And we even had a bonsai pot hidden away in our closet, waiting for years to be used for this of course! It was from a bonsai that didn’t live :( apparently few people can keep a bonsai alive for long — hence the need for a bonsai that never dies! 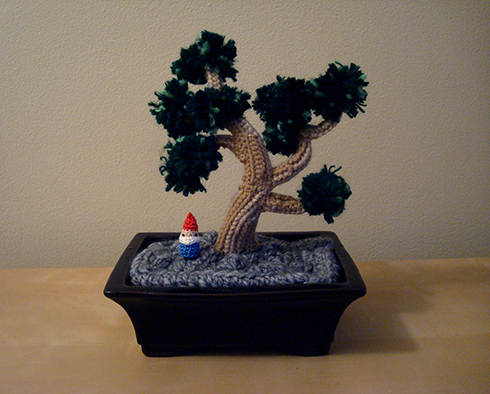 And I added a tiny gnome because I thought the bonsai looked a bit lonely. Here’s a close up of the gnome. It was crocheted with embroidery floss with a 2.3mm hook (2.3 is kind of an odd size for a crochet hook don’t you think? But that’s what it says on the hook… anyway, I digress). Doesn’t he look like he’s ready to give the most sincere hug? :D He’s in the shop as well. 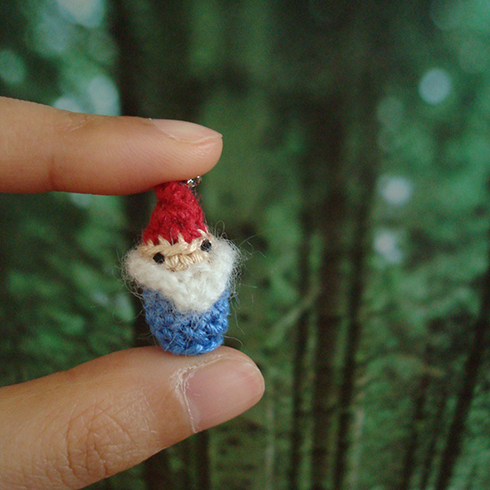 Both the gnome and the yeti are about an inch tall. My hand is in the pictures for scale. 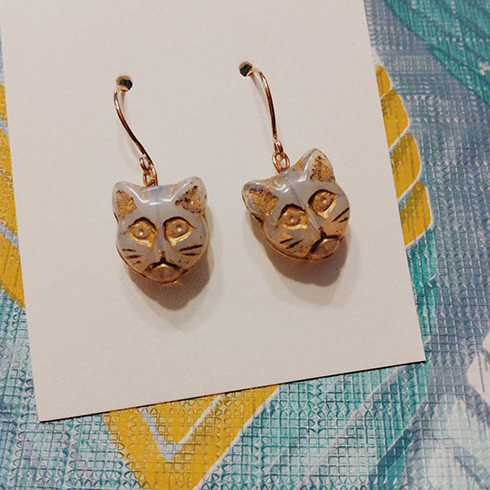 Also made these for my friend’s shop, cat earrings and necklace! 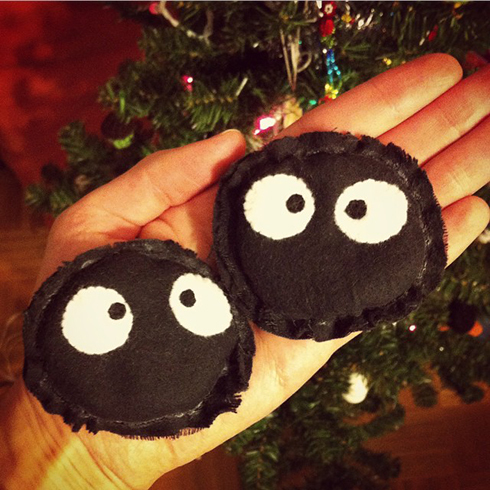 I bought them from a local Etsy seller, Yum Yum Objects. The shop owner is super friendly, and the package was wrapped in book pages and pattern tissue, with extra cat beads! 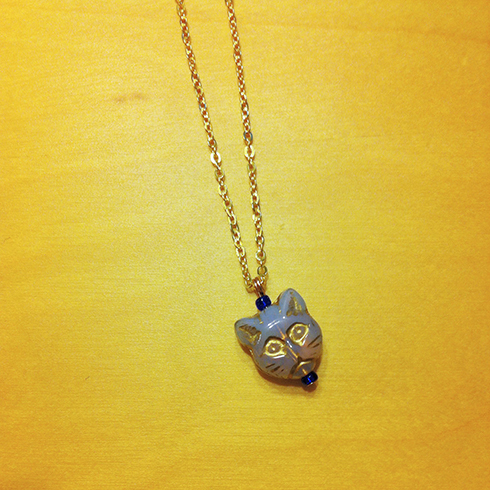 The cat beads are a beautiful translucent grey that have an iridescent quality to it in the light. And so of course I have to immediately make myself a necklace (and a pair of earrings) when the beads came in the mail! 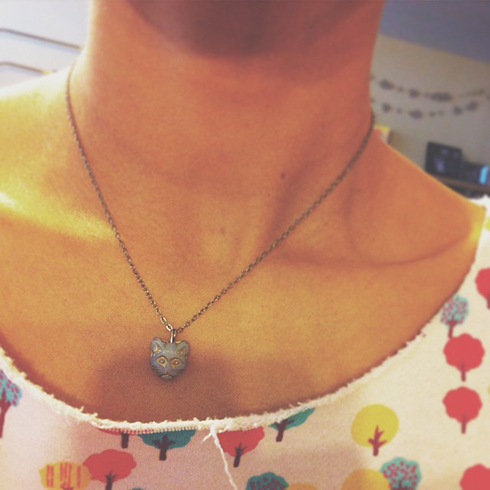 :D I’ve been wearing it for the past few days. So excited. Wow! That bonsai tree is super creative, what an amazing gift!! That bonsai is totally amazing! You have outdone yourself! It just flows with movement! All that work on the coral really paid off :-). But that’s the joy of crochet; it’s just a very organic medium. Happy New Year! Now please come to Seattle for a visit this summer! thanks nancy! 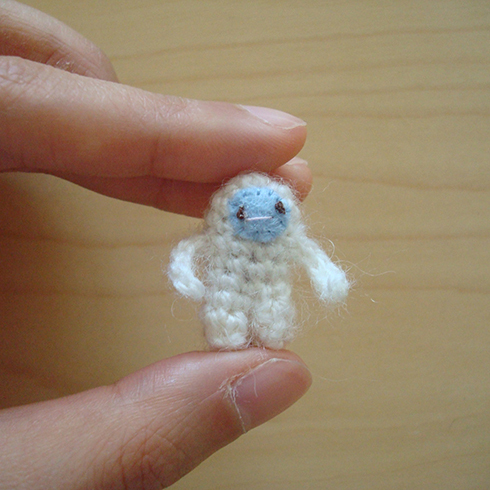 it’s true — i love free form crochet, it’s like sculpting with yarn :) happy new year to you too! i wish we could visit seattle — that would be so cool! There was a bonsai exhibition at the royal botanical gardens last year‐ it was amazing! You are truly talented my friend!!!! Thank you for visiting! 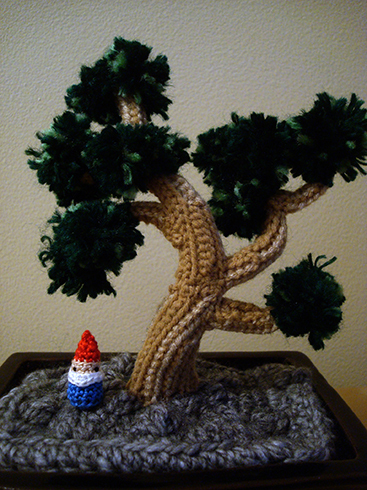 The bonsai is made with free‐form crochet so unfortunately there is no pattern — I just made it up as I went.